After the pass in Bihar Board Inter exam, Students who completed their Intermediate from Bihar School Examination Board affiliated school college or Institute and have to take admission UG ( under graduation) courses. For taking admission in university UG courses they require class leaving certificate which will be issued by the respective school/college from where students completed their intermediate. To get CLC require no dues application form submit here is about Inter Class Leaving Certificate application form and online download link of CLC certificate application form. CLC: class leaving certificate usually know by CLC, It stands for class leaving certificate. This is a certificate which used to verify that there is no any dues and no any obligation, any objection to students to take admission in another school/College/university for study. For receive leaving Certificate need to verify that there is no any dues against students. For it requires no dues application form to submit after submission of no dues form, it verifies that students do not dues like any examination fee, tuition fee or any other development or misc fee is due against the students. If find any dues then students have pay dues fee and make clear. Then they get no dues application form to get clarified no dues against them. 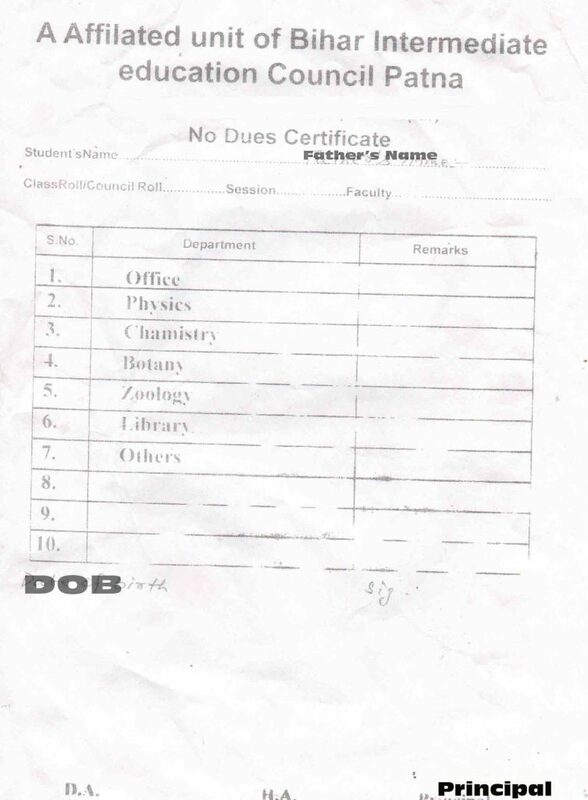 Any of the school/colleges give CLC form to students after clarifying no dues against the institute as receiving of CLC So students have to pay development fee for the same class leaving certificate. Go to your respective school/college/Institute where you have taken admission and passes out. Please ensure while getting CLC you have collected all the documents which you have to receive from your respective school after passing of an examination and getting admission in other courses. If you wish to know anything about CSL then ask for comment on your questions.